"When shall we next meet again? In thunder,lightning or in rain?" might be a question that pops up now and then to safety conscious riders... At least with Bridgestone Battlax BT-023 120/70 ZR18 59W (Front) , you can be sure your bike will cope well with the Highway roads or the Pyrenees twisties, come rain or shine. Sharing your impressions help other webusers : thank you. Really good all weather and even wearing tread gives confidence straight out of the box. Also very good on the mileage. a great tyre for all round use. 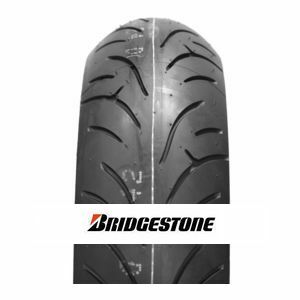 To review the Bridgestone Battlax BT-023, you first have to log-in by clicking here.